Arijit Raychowdhury has been appointed as the ON Semiconductor Junior Professor in the Georgia Tech School of Electrical and Computer Engineering (ECE), effective September 1. The professorship, which was established in 1999, has previously been held by Muhannad Bakir, Maysam Ghovanloo, and Steve Kenney. Raychowdhury has been an associate professor on the ECE faculty since January 2013, where he leads the Integrated Circuits and Systems Research Lab and advises six Ph.D. students and two master’s students. 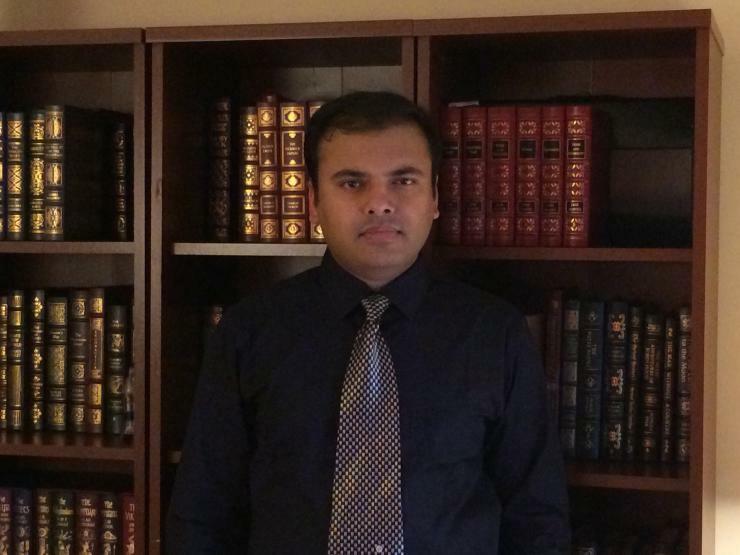 Prior to joining Tech, Raychowdhury was a research scientist at Intel for five years and graduated with his Ph.D. in ECE from Purdue University in 2007. Raychowdhury’s research interests include low power digital and mixed-signal circuit design and exploring interactions of circuits with device technologies. His recent research, after joining Georgia Tech, has been published in top journals and conferences, including Nature SR, Journal of Applied Physics, International Solid State Circuits Conference, and the International Electron Device Meeting. To date, Raychowdhury holds more than 25 U.S. and international patents and has published over 100 articles in journals and refereed conferences. He is the associate editor of the IEEE Transactions on Computer Aided Design and the editor of the Microelectronics Journal. He also serves on a number of technical program committees for conferences. Raychowdhury recently became ECE’s first recipient of the NSF CISE Research Initiation Initiative (CRII) Award, which is aimed at supporting research for new faculty members within the first two years of their tenure position. Prior to his arrival at Tech, he won the Intel Labs Technical Contribution Award in 2011, several best paper honors, and top awards for his doctoral research while at Purdue University. Raychowdhury is a senior member of IEEE and a member of the Association for Computing Machinery.